Browse our business opportunities classifieds section to find new and used equipment for sale, services and products. 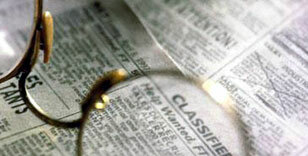 Post a free photo classified ad for items you want to advertise. Are you seeking out that once in a lifetime opportunity that would allow you to attain the lifestyle you desire? We are a 7 year old up and coming International Company that is expanding in your area. We’re looking for motivated individuals who have the desire to succeed and increase your wealth in these uncertain times. Full training and team support. (F/T or P/T).